Earn 265 loyalty points when you order this item. 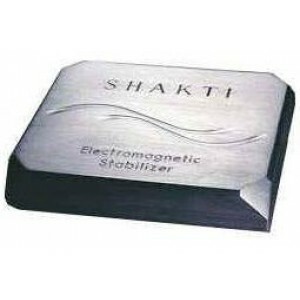 Shakti Electromagnetic Stabiliser stone uses proprietary noise reduction circuitry to absorb and dissipate electromagnetic interference (EMI) and radio frequency interference (RFI). Both EMI and RFI degrade signal transfer and sound quality. The word Shakti means energy. 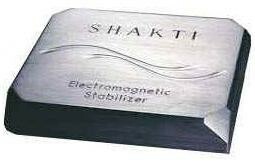 Through an energy conversion, inductive coupling process, the antenna-like circuits within Shakti attract and then resistively convert EMI to non-interfering heat. This increases horsepower and speeds up 0 to 60 times in automotive engines and improves resolution in high definition audio/video systems. No electrical connection is required because all interactions take place through radiated field mutual coupling. Simply place Shakti units in near proximity to your audio component to obtain performance improvements and prepare to be amazed.